The Public Relations officer of the Nigerian Universities Commission, Ibrahim Yakasai, has stated that despite the new directive scrapping the Post-UTME, universities are free to screen students sent to them for admission by the Joint Admission and Matriculation Board, JAMB. 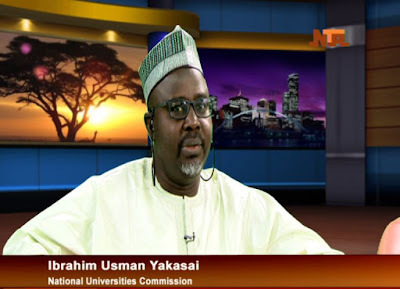 Recall that the Federal Government on Thursday ordered that the examinations usually organised by universities in Nigeria for admission seekers after the Unified Tertiary Matriculation Examinations should be scrapped. The government argued that if there was absolute confidence in the Joint Admissions and Matriculation Board, there should be no need for Universities to conduct internal examinations to determine the fate of candidates seeking admissions. Speaking on NTA, Yakasai said the new directive does not restrict any university from screening students sent to them by the exams board. 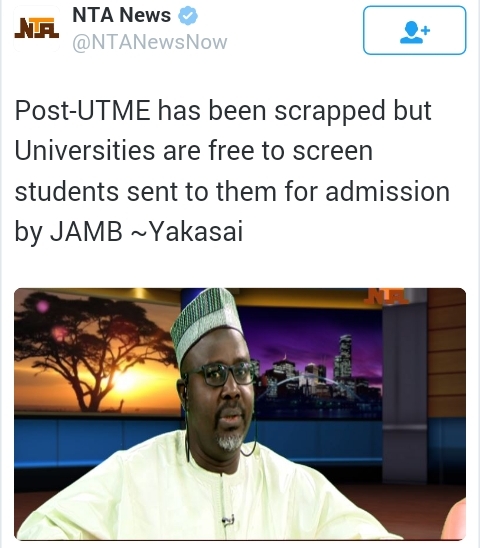 Usually, during admission, universities and other schools are allowed to do elementary screening. The screening include actual verification of Jamb slip, cross-checking of documents for admission, medical test, age check and a host of other prerequisite for securing of admission.